It has been suggested that we Brits spend a whopping £7.16 billion on our pets each year. A big chunk of this will be on the foods we choose to feed them. Pet owners are extremely passionate about what they feed their pets. There is no doubt that a good quality diet can significantly contribute towards your pet leading a happy and healthy life. In recent years we have found that a lot of owners want to chat to us about raw-feeding their dogs and cats. It is an approach that has become very popular over the last decade, but along with popularity comes growing controversy. One of the reasons why people prefer this type of feeding is that it is a more ‘natural’ diet. The thinking is that in the wild, cats or dogs would not be eating kibble or processed foods; but it’s worth remembering that our pampered pets are far-removed from their wild cousins. 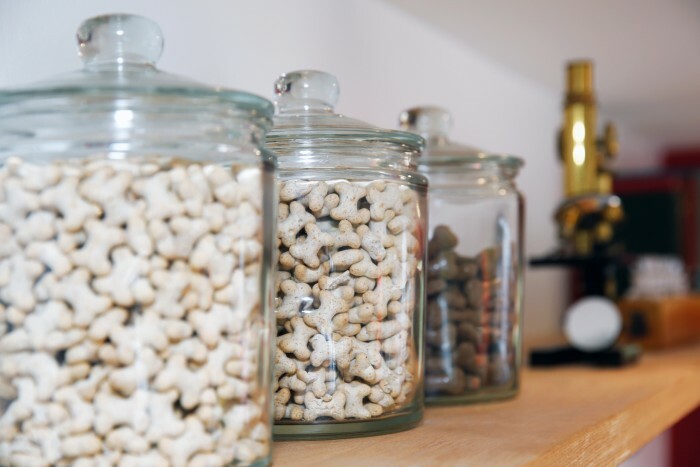 At Arun Veterinary Group we pride ourselves on ensuring our clients feel that they can talk to us freely about all aspects of pet care – and this includes raw feeding. Raw feeding is not without risks that are not usually associated with pet foods. The principal issue with raw feeding is that of the potential for food poisoning – either of your pet directly from incorrectly prepared or stored raw food or to ourselves in handling the products. In addition there is also the risk of disease acquired from the raw food being passed to us by our pets. For commercial raw food its all about the cold chain i.e. keeping top quality ingredients safe from contamination and then frozen until point of use. Any break in hygiene along this path could allow bacteria to multiply which would otherwise be killed by a cooking process. Care and good hygiene should be exercised when handling and storing a raw diet. We would advise our clients to take sensible hygiene precautions, just as you would if you were handling or preparing raw food for yourself. It is also worth remembering that allowing your cat or dog to lick all over your face straight after a meal isn’t advisable – but then we would imagine that most of us would not allow this, regardless of what we have fed our pets! Dogs’ and cats’ tongues get everywhere, as we all know. In more recent years we have started to see great quality, commercially prepared, raw diets become available. These are balanced pet foods prepared and presented in a very user-friendly way, not the uncooked chicken carcases of old. If you decide that you would prefer to feed your pet a good quality processed kibble or wet food there are many commercial prepared diets available. There is a website available for dog owners where you can check out the food you are feeding www.allaboutdogfood.co.uk – not only will it give you a score but you can also check out how much it would cost you to feed per day. We really are spoilt in the area with independent pet stores stocking a wide range of food. Gatleys Country Store located in Storrington, Steyning, Wiggonholt and Horsham stock a great range for all your pets needs and are always on hand to provide advice or information. In Steyning we also have Palace of Pooch; not only do they stock a fantastic selection of beds, collars, leads and gifts for the dog or cat crazy owner. The owner Ella is incredibly knowledgeable on the diet foods available particularly raw feeding – something that she is very passionate about. The bottom line is that our team at Arun Veterinary Group are very happy to discuss all aspects of feeding.